Kathy Foley, Undang Sumarna, et. 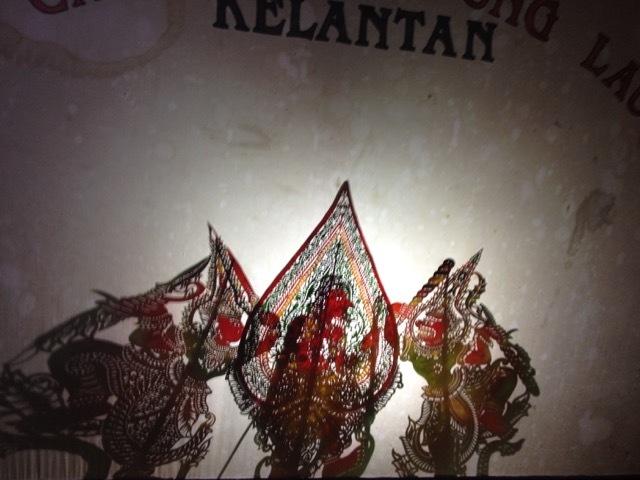 al - "Worlds of Music, Dance, Theater: 40 Years of Indonesian Arts Concert, Conference"
Phase one will focus on creating an 1) online and print publication for Smithsonian Institution Sackler/Freer "Performing Indonesia: Arts of WestJava"-a manuscript Foley (with Spiller) will finalize summer 2015 while in West Java with music director Undang Sumarna who will work with dancer Margo Prado (also in West Java), researching materials to be used in a 2016 UCSC concert/theatre performance. In winter 2016 Foley will undertake east coast research in NY via interviews on the genesis of intercultural Indonesia inspired arts and links to US avant garde. Meetings will include interviews with co-founder/participant of ASEA/CWM Luise Scipps and former students, such as Julie Taymor (Lion King), Phillip Glass (Koyaanisqatsi), Rachael Cooper (Asia Society Performing Arts). 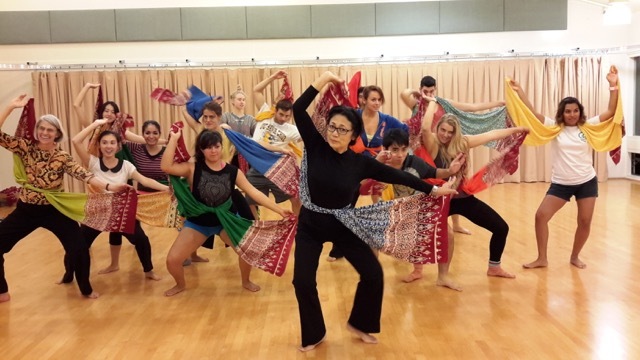 Intercultural music/dance/theatre impacts of participation in ASEA/CWM, links arts traning in UC system [UCB, UCLA, UCSC, UCSB] and American avant garde scene will be highlighted. 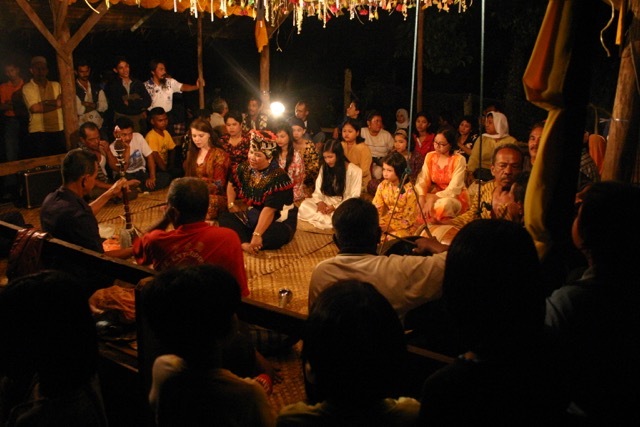 In 2016 this researched production of music/dance/drama/puppetry including both traditional and new "American" gamelan/puppetry work will be given for the UCSC 40th year anniversary program and a conference will include five scholar-artists (including collaborators Spiller and Prado) adressing Sunda, ASEA/CWM, and intercultural avant garde developments. After editing by Foley, UCSC conference material will be part of a book/journal issue "Worlds of Music Dance and Theatre: American Society for Eastern Arts/Center for World Music-Developments in Intercultural Performance." Kathy Foley: "40 Years of Indonesian Arts Concert"
Sharon Daniel: "In the Fourth World"
Soraya Murray: "Three Faces of Aveline"